growing up, I loved Barbie. I had lots and like all other girls, I gave them all haircuts. Barbies were a right of passage. You grew up watching your older sisters or cousins playing and you just had to have them too. Barbie was everything- a doctor, an astronaut, a vet... her options were endless. And then the world decided she was bad. She gave girls an unattainable standard of beauty. She was unhealthy and giving her to a girl only solidified that the girl should only be skinny, pretty, and on the arm of a handsome man. For years, she was shunned. But now, at least for this mom, Barbie is back. Their marketing department killed it with this ad. This is the Barbie I remember. The Barbie who could be anything and do anything, regardless of her body. My daughter has Barbies, and I will continue to buy her more. In this house we chose to accept Barbie as a role model, the be anything woman who my daughter can grow into, not a body dysmorphic beacon that my daughter will judge her own worth against. Welcome back Barbie, I've missed you. Halloween is almost here which means my life has gotten even more crazy! 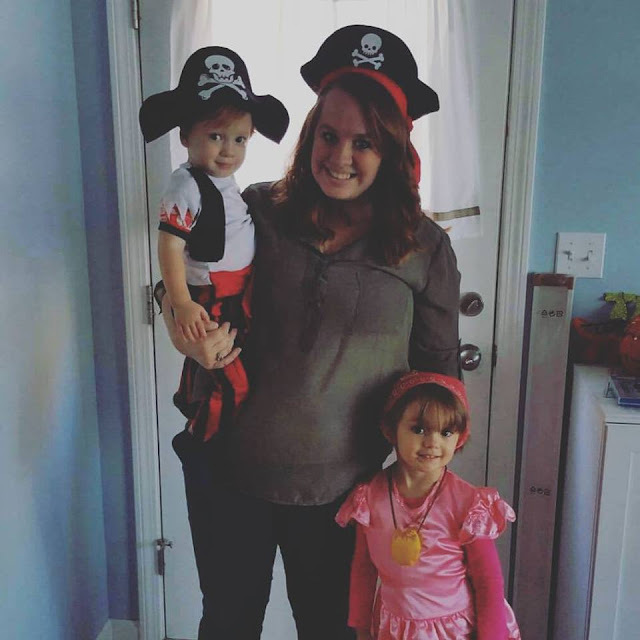 It is amazing how many Halloween themed events one 4 year old can be invited to. Add in my workload and getting events done for my students, and once again, I'm running to Walmart for quick meals and bags of candy to bring to each event. We normally grab a Hot N Ready pizza or a rotisserie chicken, but when Emma saw the HOT POCKETS® Pepperoni Pizza Snack Bites, she asked for those instead. As a mom, I saw all the pizza without the mess-- portable pizza for on the go! 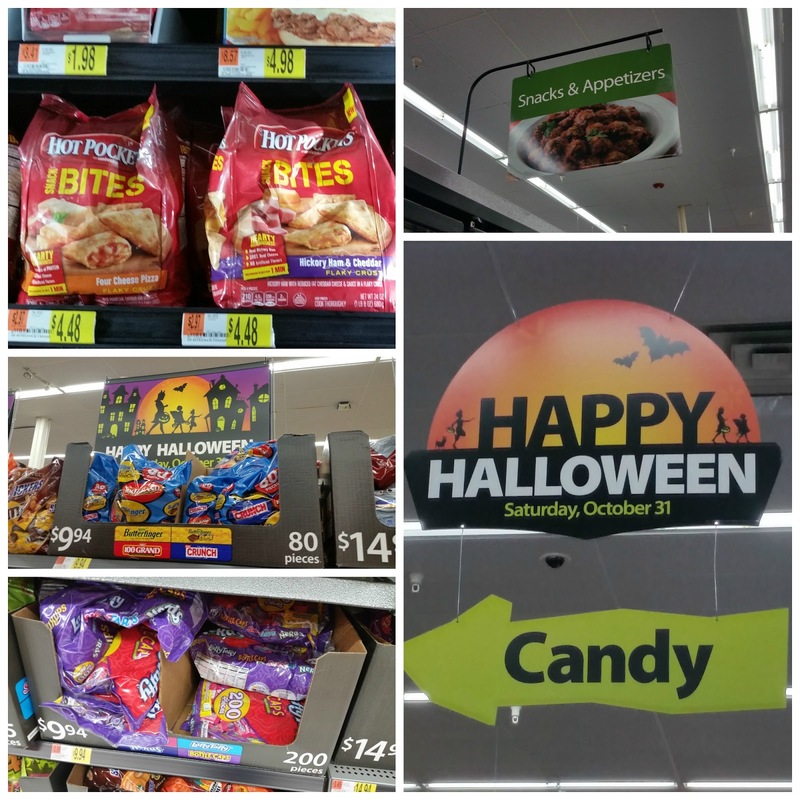 Walmart makes it super easy to find the candy as well. As soon as I walked into my local Walmart, there were big Happy Halloween signs with arrows pointing right to the candy. 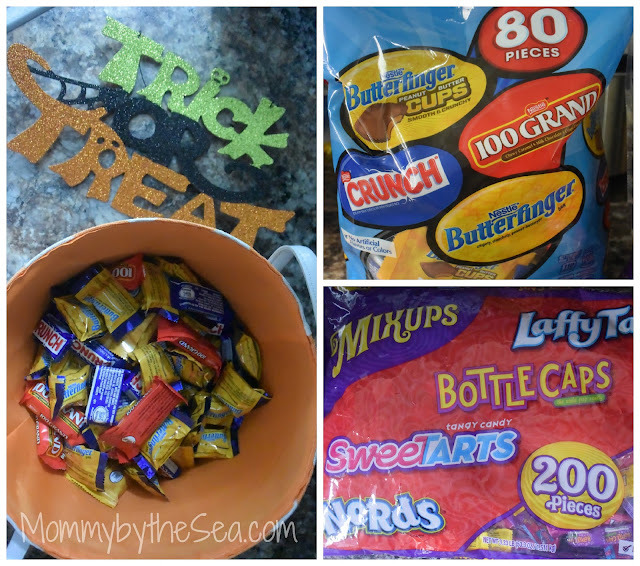 I grabbed a bag of NESTLÉ® Jumbo Assorted Fun Size Candy bars because they were the only mix with 100 Grand bars-- my favorite! Emma loves "Frunch bars, so it was an easy agreement. I was only going to get one bag but when I saw Bottle Caps in the WONKA® MIXUPS® Assorted Candy bag, I grabbed that too! We needed the two bags for a friend's party but obviously had leftovers, which is the best part! While I am all for snacking directly out of the candy bucket, on the couch, while watching television, Emmalee wanted to play chef with the candy so I had to think quick. We had some instant pudding in the cabinet so we quickly made that and let it set while we prepped our "chef plates". I didn't want Emma to overload on candy so she was allowed to pick 3 fun-sized candy bars, and I chopped them up and placed each in its own cupcake liner. In the craziness of the day, I realized dinner was quickly approaching so I threw the HOT POCKETS® Pepperoni Pizza Snack Bites into the toaster oven as well. I set Emma up with her pudding cup while they cooked. 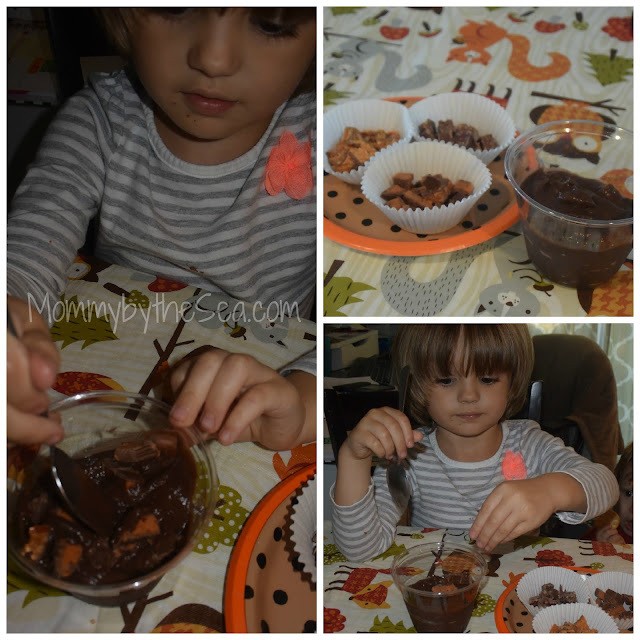 She had a blast layering the pudding and candy to make a pattern. 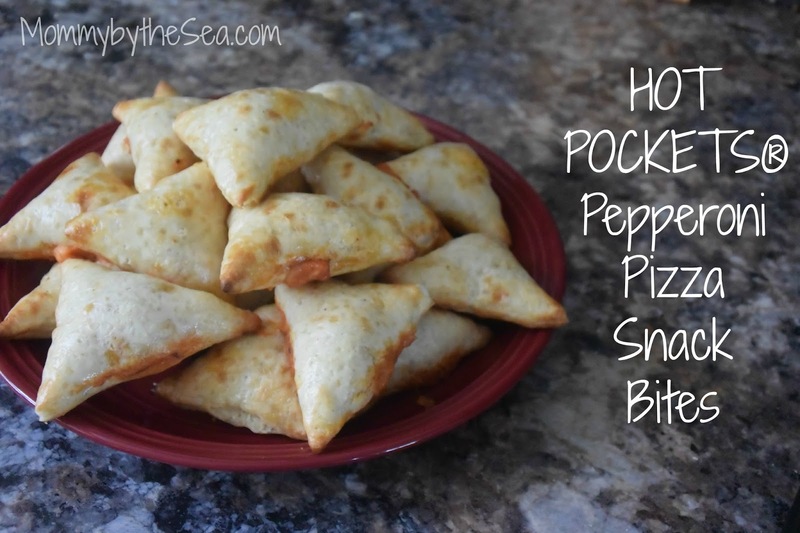 As she finished, the HOT POCKETS® Pepperoni Pizza Snack Bites were ready! So easy and delicious! We put our pudding cups in the fridge while we enjoyed the HOT POCKETS® Pepperoni Pizza Snack Bites. So good! And our dessert was delicious too! I love when I can make super easy, delicious food with my daughter-- we just love "cooking" together. 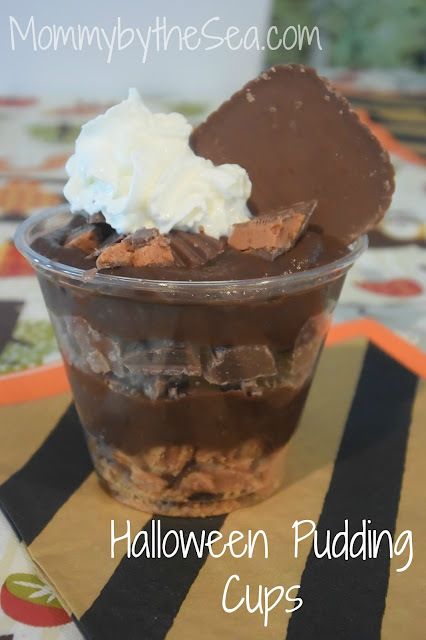 I'm crossing my fingers for more "left over" Halloween candy so we can make more of these pudding cups! What type of recipes will you try with these Nestle candy bars? Lunch was a hosted event, however all thoughts and opinions are my own. There is just something wonderful about New England in the Fall. The leaves are turning colors, there are pumpkins and apples galore, and the air is that perfect crisp temperature that requires a sweatshirt in the morning but short sleeves in the middle of the day. One of my favorite places on the Cape is the Sea Crest Beach Hotel in North Falmouth. When my friend Jessica of 30 Something Mother Runner invited me to meet up with her and some friends for lunch last weekend, I jumped at the chance. 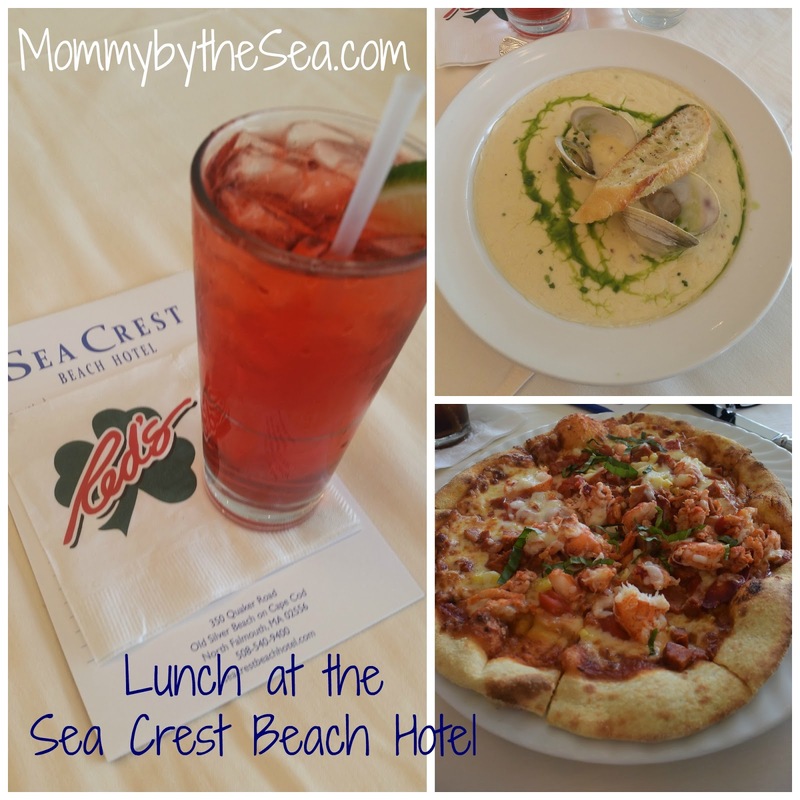 The Sea Crest Beach Hotel is one of the most beautifully redone hotels I've ever seen. 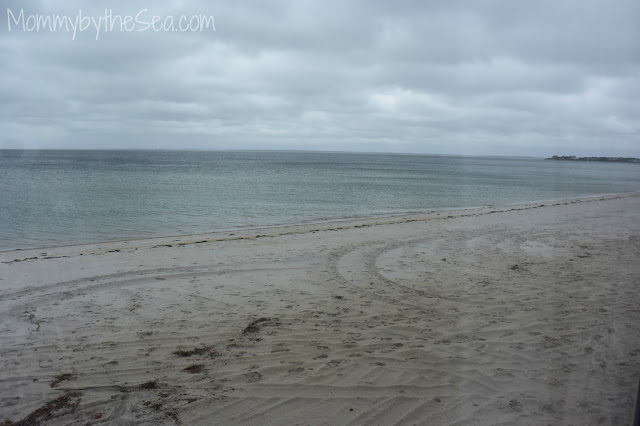 if you saw it years ago, you have to go back because it's completely different now! How is this for a lunch view? Gorgeous! Our lunch was servied in the Shutter Roomn, right next to Red's Restuarant and Lounge. Red's is named after the former Celtics' coach, which totally ups the coolness factor! I started off with a traditional Cape Codder, because when in Rome... and a bowl of chowder. I am a bit of a chowder snob and it was so good. I ordered a starter size Fish N Chips, but it was the size of a full meal. Somebody else ordered a lobster pizza! have you ever even heard of lobster pizza? I hadn't but it was delicious! As we were waiting for our meals, a gentleman walked in an asked how everything was; turns out he was the CEO of the entire hotel! We had no idea he was going to be there so it really showed us how much he cared about the place. From the renovation to simply walking around talking to guests, it is evident the level of concern and customer service. 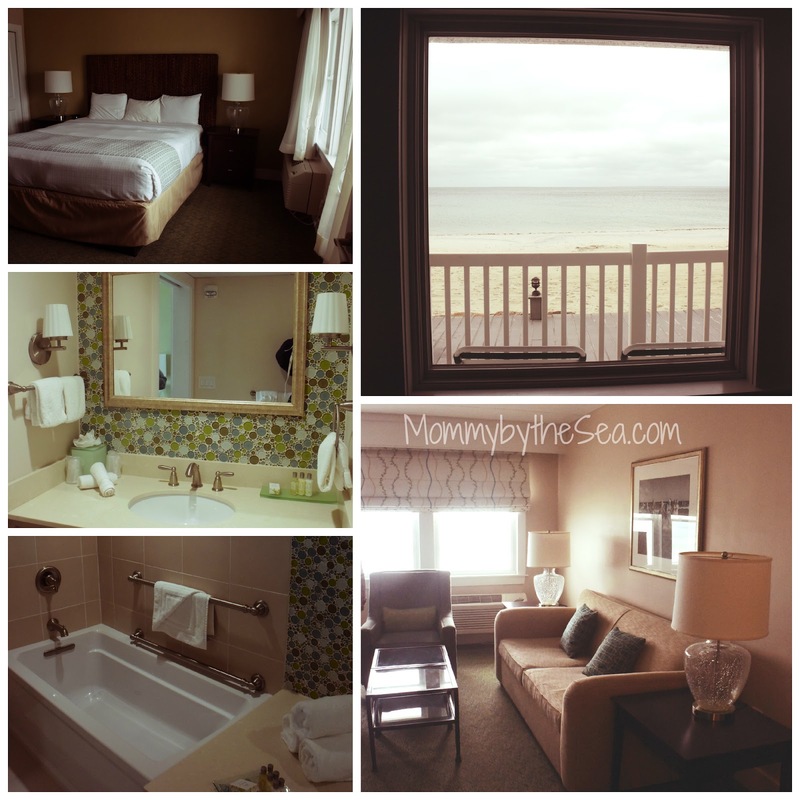 After we said we were bloggers, he told us we should take a tour around and we got to see some gorgeous amenities! My favorite was the pool area. 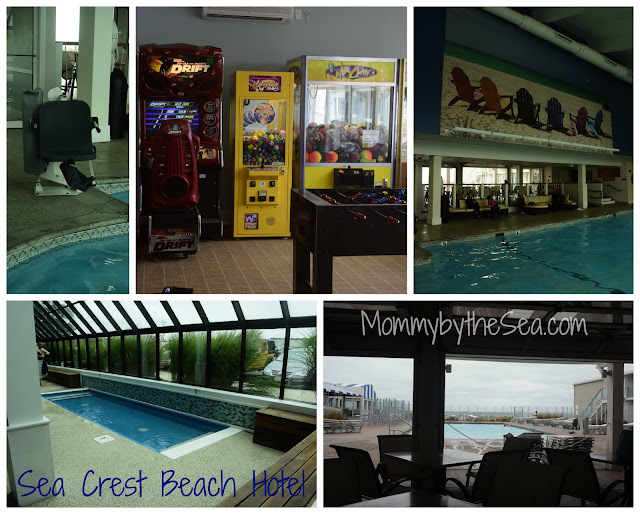 Granted it was too chilly the day we visited for the beach, but the heated pool (with a view of the beach!) would have been wonderful! I really love the huge Adirondack chair mural and the 1 foot deep kiddie pool! The attached arcade was stocked with fun stuff-- this is absolutely a family friendly resort! You can check out the Sea Crest Beach Hotel on Facebook or Twitter before checking out the place in person! So now the only question is: when will you be staying? Shop the New Olivia The Pig Collection at Gymboree! We're huge readers in this house and much like the Paddington Collection for Gap Baby, I am swooning over this Olivia for Gymboree collection. But these adorable clothes are so nice! I want to buy her the whole collection, but these are a few of my favorite favorites! Which piece is your favorite? I really don't think I can pick one! Disclaimer: I was provided this carrier for review purposes however all thoughts and opinions are my own. This post contains affiliate links, that give me a bit back for sharing with you at no extra cost to you! It's no secret that I love Lillebaby carriers. We got our first when little man was just a couple months old and I've never looked back at any of the other carriers I had before. 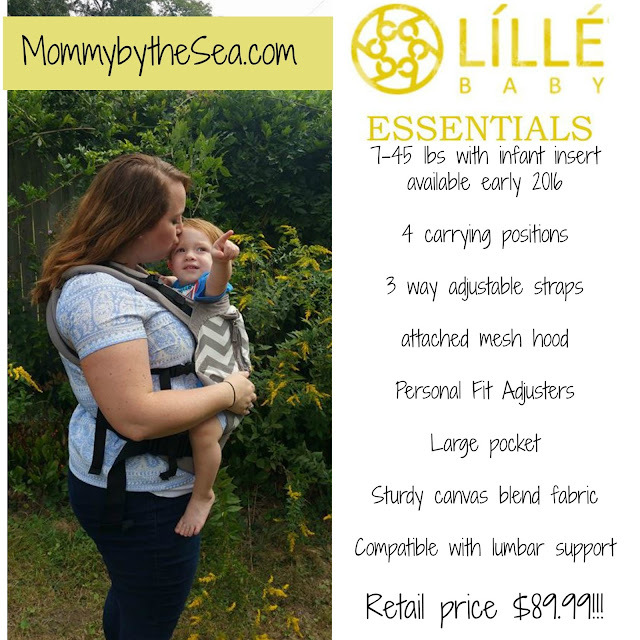 The Lillebaby was simply the best I had ever used. Lillebaby's COMPLETE carriers offers so many amazing features: 6 carrying positions, a lumbar support, and dual adjusting straps. I own 4 of them because I love them so much! At $120+ they are an investment piece but I use mine with my 1 year old and with my 4 year old so really, it's a piece that will last me for years. 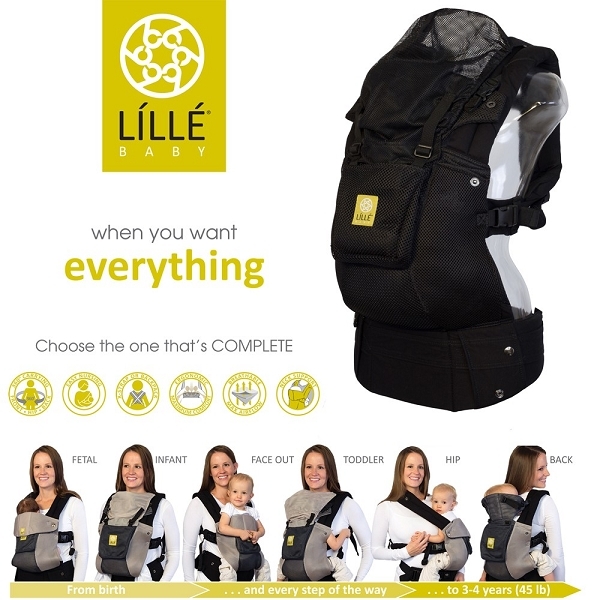 Lillebaby recognized that not everyone needs all the bells and whistles of their COMPLETE carriers but still wanted to offer an amazing 4 position carrier at a price point affordable to all! Enter their newest carrier, launching TODAY, the Lillebaby Essentials! The Essentials offers many of the amazing features of a Lillebaby in a perfect compliment to their higher end line. At under $90 (by a penny!) they are offering every family the ability to afford an amazing carrier. The carrier can be used from 7 lbs (with an infant insert coming early 2016) to 45 lbs, which is the same as their current COMPLETE model. Without the infant insert, they are recommending 15lb+ or 6 months+. It also offers 4 carrying positions: front carry, with the insert early next year, or for 15 lbs+, a back carry, or a hip carry. Having NEVER used the forward facing carry in my COMPLETE carriers, it's nice to not pay for a feature that I am not using! What is new about the Essentials, is that it offers Personal Fit Adjusters, or PFAs, that allow you to play with the straps even more! I could shorten them to get a good high back carry while apple picking last week! I love the super large pocket that allows me to carry around my phone and my keys, plus it's lumbar compatible so I can use any of the lumbar supports I already own, or I can purchase a separate one just for it! I've used a few types of carriers, ranging from full mei tais, to structured carriers from other companies, but since I've been a devout Lille-er for a while, I reached out to my friend Palestina, who owns Instinctive Parent (find her Facebook page here!). She has an aamzing "shop" but instead of being a store front, she brings her various carriers to you, let's you try them all on and helps you find the perfect fit in all of them. 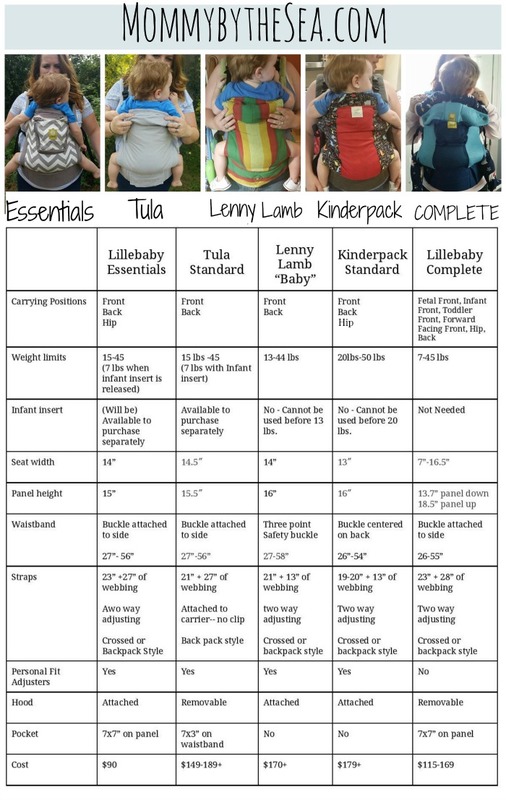 While I've used a Tula before, I've never had the chance to try out the harder to find carriers, like Lenny Lamb and Kinderpack. Palestina brought them all to me so I could do a through comparison of all of them. I made this chart for those who really want to see the differences in the carriers. My little guy is 17 months old, 32 inches tall and about 23 lbs. You can see how he fits in each of the carriers. I have never been able to wrap. I can say it, I am constantly petrified that my little guy is going to fall out, crazy, I know. I prefer something with structure because of that. I like the buckles and the thicker fabrics-- I feel more secure but it's a personal preference. Out of all of the carriers, the COMPLETE is my absolute favorite. It has so many wonderful amazing features and is literally the one carrier you buy for your newborn to 5 year old. The Tula offers the structure I like but without the extra hip carrying position and no pocket, I'd prefer to spend less money on the Essentials. The Essentials offers more at a lower price. I will say that the Lenny Lamb wrap conversion was super super soft and floppy, but because I prefer the structure and support in "stiffer" fabrics I had a hard time getting comfortable with the Lenny Lamb. I didn't like how it felt "loose". The Kinderpack was a comfortable carrier but because of it's sizing, I would have to purchase two of them to work from 7 lbs to when he outgrows it. It felt the closest to the COMPLETE but lacked many things I loved about the complete: no lumbar support, only 2 carrying positions, and the hood stowed in the top of the panel made it bulier than I liked. The COMPLETE is by far the best carrier out there. Lillebaby created an amazing product that works for parents from birth until they outgrow it, and my daughter, who is 4 ( 35 lbs and 41 inches) still fits! The Essentials is a perfect compliment to the COMPLETE. Maybe you want a second carrier but don't need to be able to forward face? Maybe you love the company and customer service behind Lillebaby but a $169 Embossed just is out of your range. It offers so much with such a small price tag. While it offers less than the COMPLETE, it still offers so much more than other carriers! I'm so excited we got a chance to try it out and would LOVE to hear your thoughts! 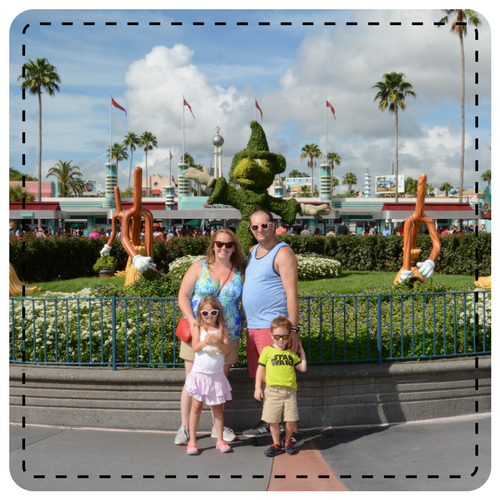 Some other mamas had the chance to test it out so be sure to say hi and see what they think!